Personally speaking, if 2016 is remembered by me for anything (outside the more global perspective), it’s going to be thought of for picking things up and moving in the right direction. Not to be sappy, but a good chunk of 2015 was pretty ugly and messy (I’ll spare you all the personal details), but the beginning stages of 2016 were all about getting out to shows (starting off with a bang with Epica in January) and putting more passion and energy into the scene that I’ve been happy to be a part of for over two decades now. It also meant getting my two little guys more involved, who were able to witness their first metal shows at a tender age, with my oldest catching Lacuna Coil back in May and bringing both of them to see Soilwork in October – easily two of the biggest highlights of this year, with them being more into metal (and wanting music of their own) and actually getting to show them what it’s all about. And what a year for that – so many fantastic releases in 2016 that I couldn’t even fit all of them into a top 20, let alone 12! Outside of that, 2016 has been a great year for Dead Rhetoric as well. There’s not a ton of us that write here compared to other sites of our size, but I’m proud to share in our collective passion for the genre. 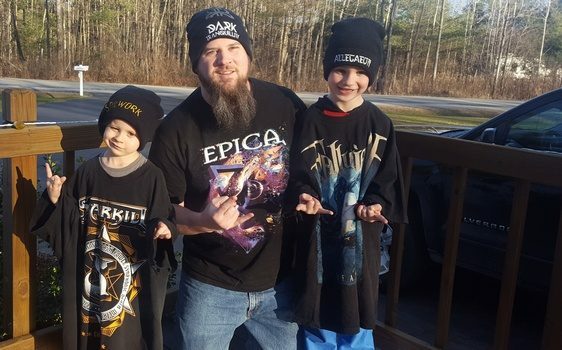 We tend to draw in “lifers” to the community here, and our growing reach is a testament to the dedication and love we all have for metal (so much for not being sappy). So thanks for being a part of our website, and as always, we’ve got even bigger things in the making for the year to come. Simply put, Proponent for Sentience is over 70 minutes of pure melodic death metal bliss. 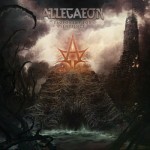 Allegaeon has continued to refine themselves with each album, and still managed to surpass any expectations tossed their way. Musicianship that wows without being pretentious and couples with melodies that you won’t forget. Grabbing new vocalist Riley McShane was an excellent move as well, adding a diversity that lends itself not just to growls, but some clean singing too. If you buy only one (more) album this year, it really should be this one. Continuing to refine and expand their sonic palette, Amaranthe took some risks and veered off of a more comfortable formula for album number four. While their modernization on a few songs may irk some, there’s no denying they write some of the most hook-y, stick-in-your-head anthems of the modern metal genre. And with the strength of Maximalism, they are bound to break through to a wider audience in the very near future. A fluke YouTube search at the beginning of the year led to the discovery of this fresh California metal/rock act. While slightly out of the normal “parameters” for DR coverage, that hasn’t stopped Never Alone from being on constant repeat since its June release. Effective and compelling genre blurring from the atmospheric and dark to the catchy and direct coupled with Mixi’s impressive vocal range is all but certain to propel the band forward. There’s a reason I’ve caught this band live six times this year. 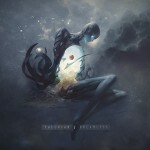 With Dreamless, Fallujah have solidified their direction and have started to fine tune it. They weren’t the first band to mix death metal with emotive atmosphere, but it’s clear that they’ve been an inspiration for many of today’s modern death metal scene. Dreamless stays ahead of the pack by the band’s extraordinary knack for flow as well as creating a true sense of wonder and discovery when you hear their music. 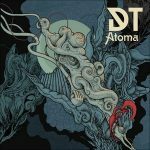 Containing a handful of tracks that are, quite frankly, some of the best DT songs in a while (“Atoma” and “Clearing Skies” for instance), the band’s 11th album is one of their strongest yet from a rather consistent act. An effective mix of the darker atmosphere of more recent efforts coupled with Haven’s keyboard presence, increased clean vocal use, and some sprinklings of new ideas make Atoma shine. After mourning the loss of System Divide, Oracles rose from the ashes and completely toppled the bar of expectations. Featuring much of the current line-up of Aborted, there’s no lack for heavy or groove as you make your way through Miserycorde, and the melodic elements brought in alongside Sanna Salou’s vocals only serve to enhance the palette. Blastbeats, symphonic elements, dizzying solos – whatever you fancy, Oracles has you covered and makes it fun. 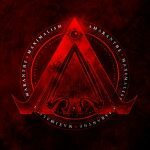 Armageddon’s musical equivalent continues to impress and outdo themselves with each new album. 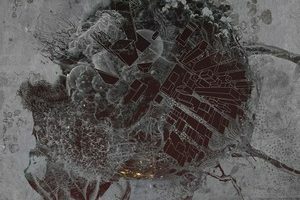 The Whole of the Law is no different – featuring scorching and frenetic riffs, terrifying atmosphere, and caustic vocals, Anaal Nathrakh has not missed a beat in turning chaos into majesty. More than just a sonic fireball, there’s always some nuance as you continue to let the music sink in with repeated sessions. The quintessence of a grower, Tied Down continued to make find its way into my speakers months after checking it out at the beginning of the year. Wisely snagged by Nuclear Blast this past fall, the band’s DYI ethos appears to have paid off, giving them a deserved larger audience. 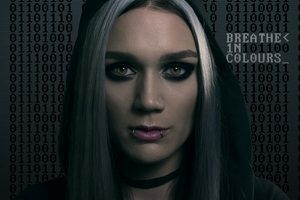 With their capability to fire off both heavier cuts (“Breathe In”) and powerful ballads (“Save Me”) with equal emotive appeal, it won’t be long until they make their big break. 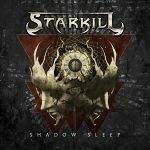 Starkill continues to evolve and fully realize their sound on album number three. 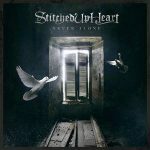 Keeping their classic shredding approach intact but adding more symphonic elements, clean vocals (and female cleans), and rock influences gives the band a broader spectrum to play in. What’s best is how they blend all of these elements together to create an overall listen that impresses with some flashy musicianship yet sticks in your head. The only unsigned act among the picks this year, it only goes to show the level of talent possessed by this Tunisian band. 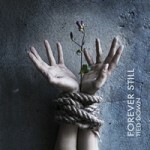 Their hard-hitting yet melodic brand of progressive metal combines with some fantastic vocal work and is deserving of a much wider reach. 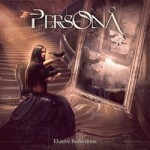 Those who are looking for a new act on the more melodic end would do right to check out Persona as soon as possible. As more and more tech death becomes the norm, it also takes more to impress those who seek out the style. 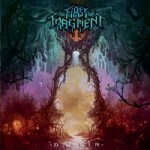 First Fragment succeeds because it can offer up the obligatory technical showmanship and turn it up on its head. The melodies that spiral around from beginning to end are bound to put a smile on the face of even the most stoic of metal fans. Dasein is simply a joy to listen to. 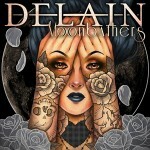 Effectively balancing between more hook-based and poppy tracks with heavier, more symphonic ones, Delain are at their strongest yet on Moonbathers. Diversity only strengthens the act, with Charlotte Wessels proving herself to be a true force to be reckoned with on cuts like “The Hurricane” and “Danse Macabre.” With its upbeat tempo and memorable choruses, it’s a must for any long distance car trip.